When this silk arrived, it really wanted to be made up … It didn’t want to wait. So, I obliged. This pale shade of yellow reminds me of the soft yellow of some blossoms, very light and delicate. 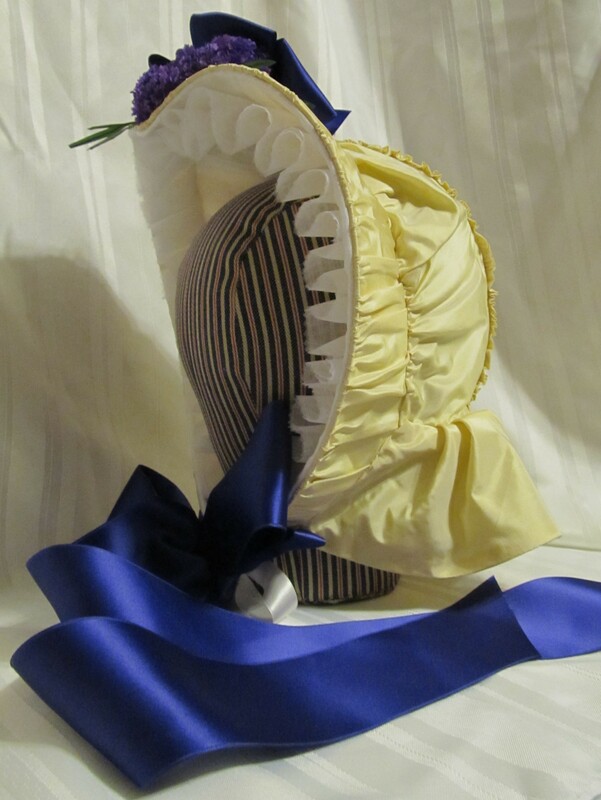 The brim is drawn on cane over buckram in the fashionable Marie Stuart shape, while the crown is soft draped over net with the center drawn on canes vertically. Inside the brim is a full organza frill that can be fluffed out as desired. The decorative ties are wide regal blue satin while the functional ties are a white silk taffeta. 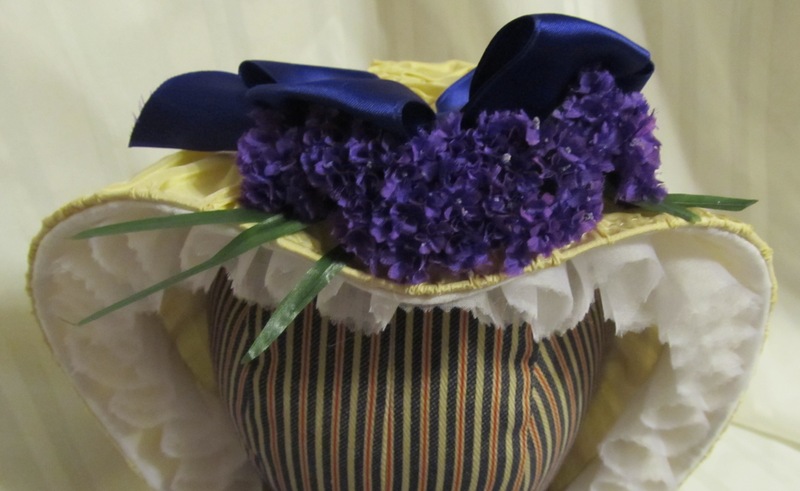 Atop the brim, in the Marie Stuart dip is a cluster of purple flowers and a bow of the same ribbon as the ties, just in a narrower width. 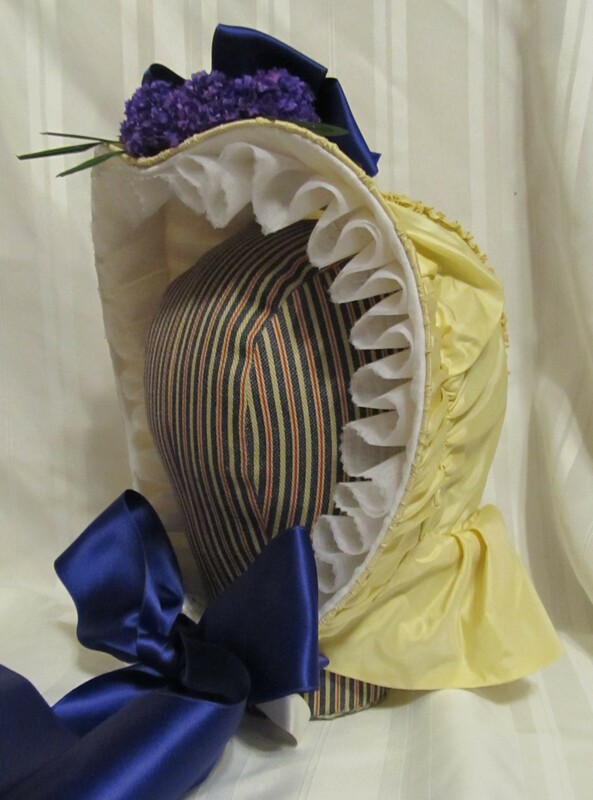 This bonnet had a new home even before it was finished. I understand it will meet the world at a special occasion.